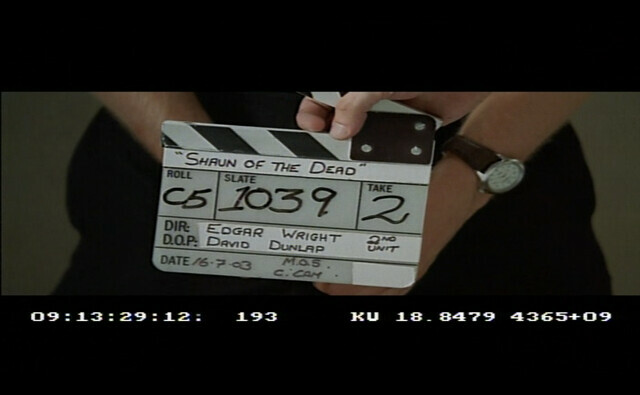 And so, ten years ago this was the final day of shooting of ‘Shaun Of The Dead’ in Ealing Studios. 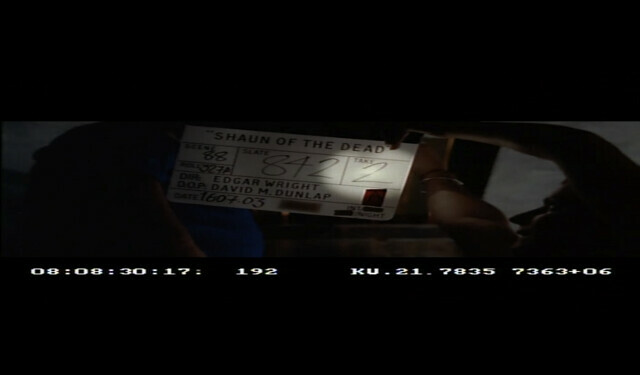 As you can see from the schedule above and the pictures below it was a full on day of mopping up and I remember racing from set to set shooting all the scenes at Shaun’s house along with shots of the tooling up in the bathroom and zombies breaking through the trapdoor in the Winchester. 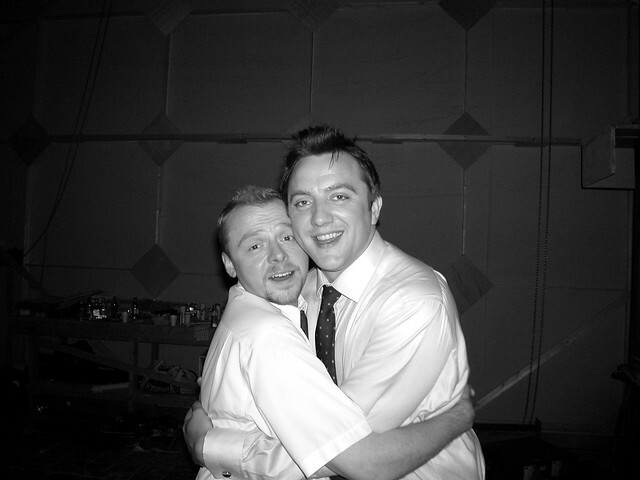 I hope that three days away from our last ‘Cornetto’ movie being released in the UK this has been a educational trip down memory lane. It’s certainly brought the shoot back to vivid life in my memory. Enjoy this last day of photos. You’ve got red on you. Huge, huge thanks to Lee Thomas, Nira Park, Leo Thompson, Marcus Rowland, Peter Serafinowicz and Simon Pegg for helping me put this together. Loved every minute of this. Next year can you please blog photos to mark the 10 year anniversary of the promo tour for Shaun? 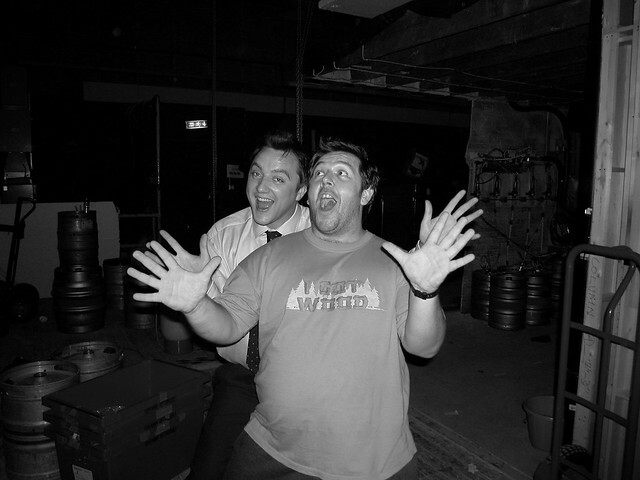 There were some brilliant photos on that tour. I wonder if anyone still has the old blogs from the Shaun Squad site? 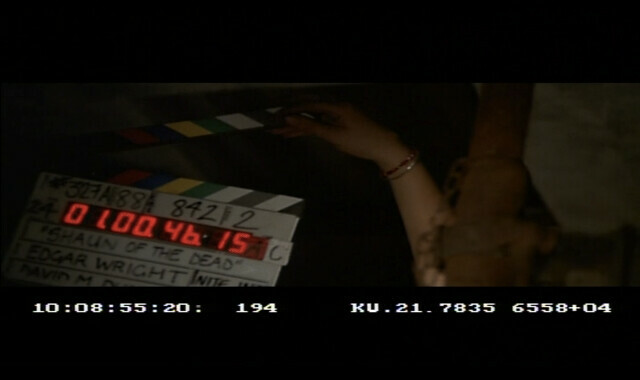 Thank you Edgar for showing daily pics from filming SOTD-enjoyed ! I really enjoyed this. Thanks for taking the time to put it together. 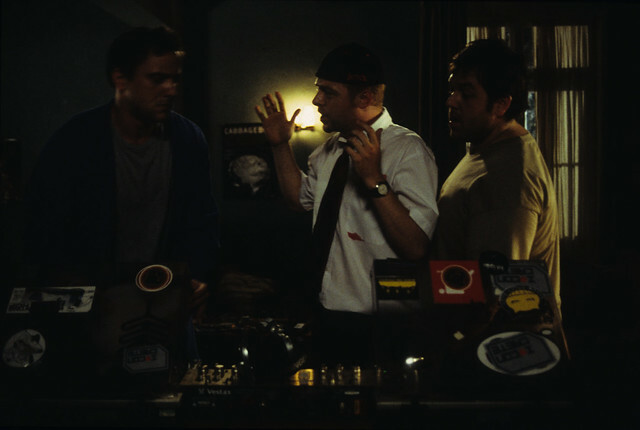 Shaun of the Dead completely blew my mind when I saw it, and it’s still one of my absolute favorite films. I can’t wait for The World’s End to come to NYC. Hope you can do a Trilogy Screening here. Brilliant. Thank you for sharing this journey! This was the perfect day to meet you guys, then! My favourite film wrapping up on this day 10 years ago. And 10 years later I was able to meet you guys and get my beloved Shaun Blu-Ray signed. Thanks to you, Simon, Nick and everyone involved for giving us the first of many great films! … and the front door is open… again!! 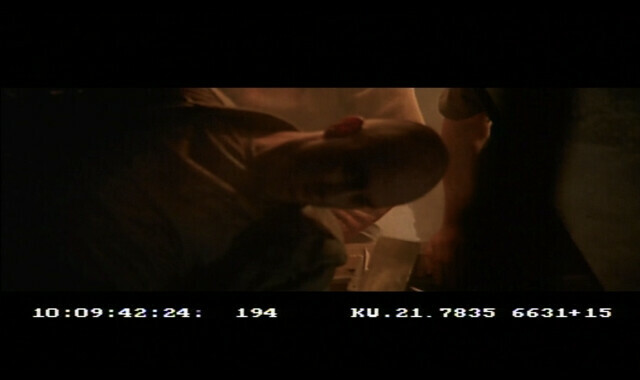 Thanks for sharing all these photos and infro about the shooting. You’re a great director and writer Mr. Wright:) Looking forward to see the The Worlds End. No! This can’t just be over.